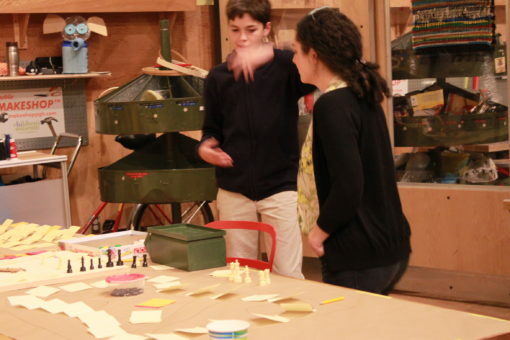 At our last Youth Maker Night we gave the kids the opportunity to create their own board game using pieces and parts from existing games (chess pieces, dice, paper money, etc.). One boy in particular decided to take this activity to a whole other level. 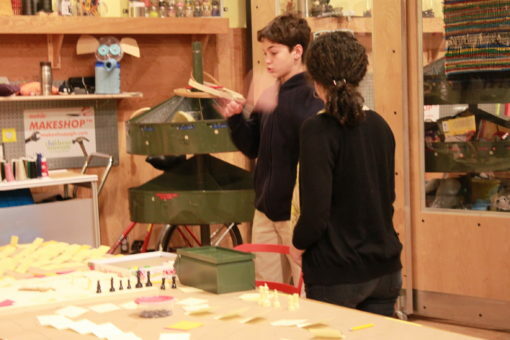 He developed a role playing strategy game using chess pieces and postit notes. The materials were simple. The instructions were not. We spent roughly 20 minutes going over the detailed instructions and rules for each and every character. 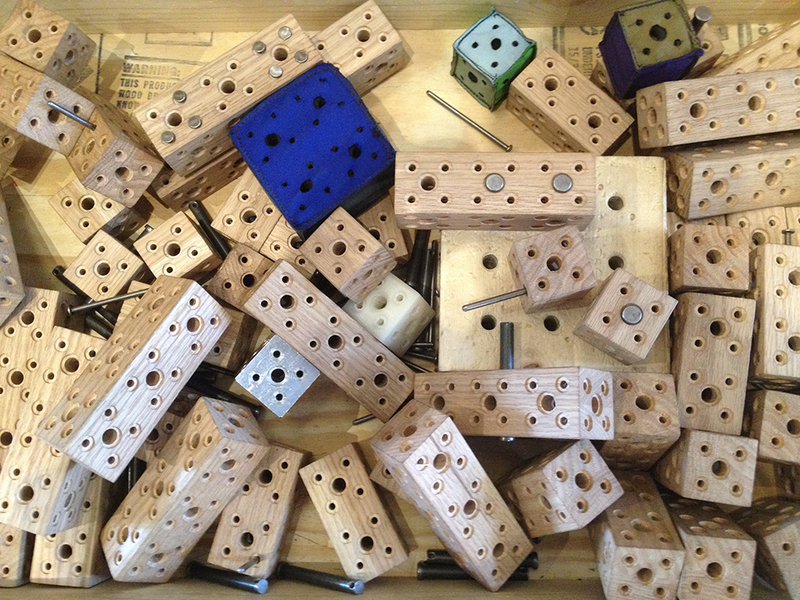 Each game piece had different strengths and weaknesses. Some had more lives or could move more spaces. All of my characters were destroyed in a matter of minutes during my first (and only) turn. 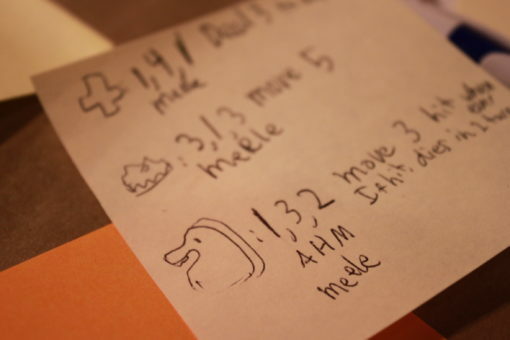 The game was so ambitious and simple at the same time. 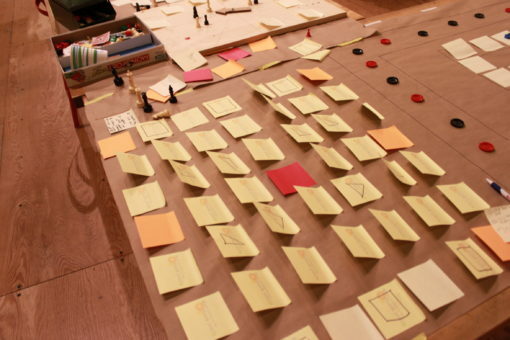 Do you have an idea for making your own board game? All you need are some materials and a big imagination! 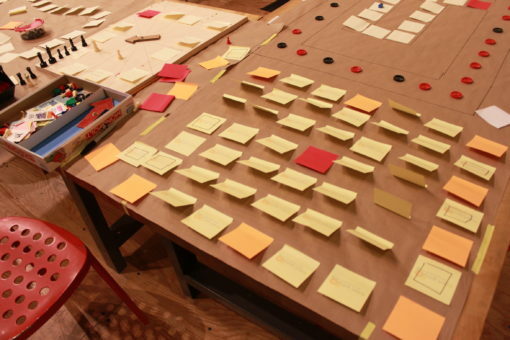 Learn more about creating your own board game on my post on Scholastic’s The Learning Toolkit blog.